Charged with collecting taxes and enforcing tax laws, the Internal Revenue Service is popularly dubbed the “most hated” agency in the U.S. federal pantheon. The agency determines, assesses and collects revenue, including from personal and corporate income taxes, excise, estate and gift taxes, as well as employment taxes for Social Security. The IRS is the largest bureau within the U.S. Department of Treasury - and according to the government, one of the world’s most efficient tax administrators: In 2004 the IRS collected more than $2 trillion in revenue and processed more than 224 million tax returns. As the federal body responsible for carrying out the government’s tax policy, the agency finds itself at the center of an interminable, and usually bipartisan, debate over how America is funded. In 1998 the IRS Restructuring and Reform Act aimed at transforming the culture of the IRS and significantly enhanced taxpayers’ rights in disputes with the agency. However, many still criticize IRS Criminal Investigation (CI) operations for a perceived abuse of unchecked power. And in recent years, operational changes - including the outsourcing of collections to private agencies and the introduction of online filing - have also been the subject of debate. The Internal Revenue Service has its origins during the Civil War, when President Lincoln and Congress created the position of Commissioner of Internal Revenue and enacted an income tax to pay for the war in 1862. The tax was repealed ten years later, revived in 1894, and ruled unconstitutional by the Supreme Court the next year. In 1913, the 16th Amendment gave Congress the authority to enact an income tax. At the time, net personal incomes above $3,000 were taxed 1 percent, and incomes over $500,000 subject to a six percent surtax. In 1918 income tax rose as high as 77 percent to finance the First World War, dropping to 24 percent in 1929, and rising again during the Depression. Congress introduced payroll withholding and quarterly taxes during WWII. The agency underwent a re-organization in the 1950s, to “replace a patronage system with career, professional employees,” and the Bureau of Internal Revenue became the Internal Revenue Service. The IRS Restructuring and Reform Act of 1998 further reorganized and modernized the agency, based on a private-sector model of organizing operations around customer groups. The Act also significantly enhanced taxpayers’ rights with regard to dealings and debates with the agency. Relying on the “voluntary compliance” of taxpayers who submit their earnings, expenses and financial records in the form of tax returns, the IRS administers the tax laws and policy of the U.S. government. It is charged with “helping” taxpayers understand and meet their legal obligations, and enforces compliance through a combination of audits, collections, criminal investigations, confiscation and prosecution. Real and Personal Property Auctions - the IRS confiscates real estate, cars and personal belongings of those who fail to pay their taxes. Whistleblower - Informant Award - IRS will award up to 30% of the original tax, penalties and other amounts it collects to people who blow the whistle on others who haven’t paid their taxes. Additionally, see Wikipedia entries on Alternative Minimum Tax, Consumption tax, Flat tax, Income tax in the United States, Progressive tax, Regressive tax, Sales taxes in the United States, and Taxation in the United States. As tax law compliance is largely self-regulated by taxpayers, the IRS oversees compliance and enforcement operations, including civil audits and criminal investigations. The IRS’s enforcement arm, Criminal Investigations (CI), is the only federal agency authorized to investigate potential criminal violations of the Internal Revenue Code. The division has about 4,400 employees worldwide - more than half of whom are special agents with jurisdiction under tax, money laundering and Bank Secrecy Act laws -and operates through three interdependent programs: Legal Source Tax Crimes; Illegal Source Financial Crimes; and Narcotics Related Financial Crimes. According to the agency, CI’s conviction rate is one of the highest in federal law enforcement, and hefty prosecutions are thought to deter other violations. The debate over tax reform and the IRS runs the gamut from those who would think taxes are unconstitutional and would like to see the agency abolished - to those who contend the government should do more to regulate massive individual wealth and corporate greed in the interest of social safety and development. Meanwhile, during the Bush Administration’s tenure, tax cuts and policy decisions elicit cries of injustice from the political Left - who point out that the biggest breaks and benefits are going to the richest Americans - and the Right, who claim the rich are being unfairly punished. There is a debate over whether preparers should be allowed - even with taxpayers’ permission - to sell or disclose customer return information. Debate over whether the agency should be required to provide direct filing services for taxpayers online, with concern over “predatory” refund anticipation loan solicitation and the quality of private-sector return preparation. 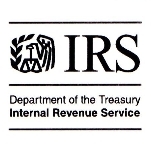 The IRS began outsourcing collections in 2006. Former Commissioner Mark Everson resigned in 2007 to lead the American Red Cross. I have been assisting taxpayers for almost 20 years. Congress has been strangling the IRS for over 9 years, under funding this agency to the point now where less than 30% of the calls get answered (average wait time is now 1-3 hours). We can no longer go into our local office, processing Power of Attorney forms take two weeks if not more, I often get hung up midsentence by the IRS phone system, making appts is almost impossible. The slave masters are certainly letting the slaves know they will never be free. It is time to start funding the IRS instead of abusing it, along with the American taxpayers. I received a letter today stating it's from the Dept of the Treasury It says if I call the Dept of Advocacy services they will help me pay off my credit card debt tax free etc..they gave the #18663850547 I have to call by 7/20 I think it's a scam. You won't believe this but We have tried for the last two hours to get some forms online for our tax return for 2015, a simple request, I downloaded the info but they still won't let us have those forms. We called our bank over a week ago but to no avail there either.... I need help! Can you help?? Owed 2010 taxes...my husband filed jointly. The irs is now billing us separately for the same amount. I set up a payment plan...making payments, they still bill us separate one to me and one to my husband. How can I get through to them.? Been on hold for 1 hour and fortyfive minutes. I should go to work for the IRS. Been trying to talk to them about a tax bill, was $11,000.00, Made the payments and it was going down, June I paid $4,000.00 on the $9,000.00 that was left. You would think it would go down from there..Nope. it went from 5,100.00 to 5,450.00. When I paid the $4,000.00 the interset and late fees went up. So the payment they set doesn't even touch the principle. A IRS wants 63% of my take home salary for 5 years, on a thirteen year old tax bill that you were not even responsible for Appeals say $3,200.00 per month, Taxpayers Advocate Office said that $1,500.00 per month is correct amount. The collections officer say NO HE WANTS $5,000.00. PLEASE HELP. President Barack Obama has turned to a veteran executive to take over the Internal Revenue Service, which was rocked earlier this year by allegations—later shown to be false—that it had targeted politically conservative non-profit groups for extra scrutiny, and steer the agency to calmer waters. John A. Koskinen embarked on his second public service career in 1994, having spent two decades in the private sector. If confirmed by the Senate his term would last until November 2017, and he would replace Acting Commissioner Danny Werfel, who took the job in May after acting commissioner Steven T. Miller was forced to resign soon after the allegations surfaced. Born July 30, 1939, Koskinen graduated Ashland High School in Ashland, Kentucky in 1957, going on to earn a B.A. in Physics at Duke University in 1961 and a law degree at Yale Law School in 1964. He also did post-graduate work in International Law at Cambridge University from 1964 to 1965. Koskinen clerked in 1965 and 1966 for Judge David Bazelon, who was one of the leading jurists of the day and served as chief judge of the U.S. Court of Appeals for the District of Columbia Circuit from 1962 to 1978. After a short stint in 1966 and 1967 practicing law at the firm of Gibson, Dunn and Crutcher, Koskinen served in 1967 and 1968 as assistant to the deputy executive director of the Kerner Commission, which produced a landmark report on racism and the urban riots of 1967. He then served as a legislative assistant to Mayor John Lindsey of New York City (D), who had been vice chairman of the Kerner Commission, from 1968 to 1969. Koskinen got a taste of Capitol Hill from 1969 to 1973, serving as administrative assistant to Senator Abraham Ribicoff (D-Connecticut). Leaving government service in 1973, Koskinen worked 21 years for the Palmieri Company, which specialized in “turnaround management” of foundering companies. Joining as vice president, he was named CEO and president in 1979. During this period, he also found time to serve as vice chairman of the American Professional Soccer League from 1987 to 1991. Returning to public service after the 1992 elections, Koskinen served as deputy director for Management at the Office of Management and Budget from 1994 to 1997, and as assistant to President Bill Clinton and chair of the President’s Council on Year 2000 Conversion from 1998 to 2000. From 2000 to 2003, Koskinen served as deputy mayor and city administrator of Washington, D.C., and from 2004 to 2008, he was president of the United States Soccer Foundation, which is the major charitable arm for soccer in the U.S. In the wake of the collapse of the mortgage bubble and resulting crisis, Koskinen served as non-executive chairman of Freddie Mac from 2008 to 2011, including a stint as acting CEO in 2009. Koskinen serves on the boards of AES Corp. and American Capital, Ltd.
A lifelong Democrat, Koskinen has donated more than $80,000 to Democratic candidates and organizations since 1990, including $7,300 to Barack Obama’s presidential campaigns, $18,000 to the Democratic National Committee, and numerous smaller donations to various candidates. John Koskinen is married to Patricia Salz and has a daughter Cheryl and a son Jeffery.